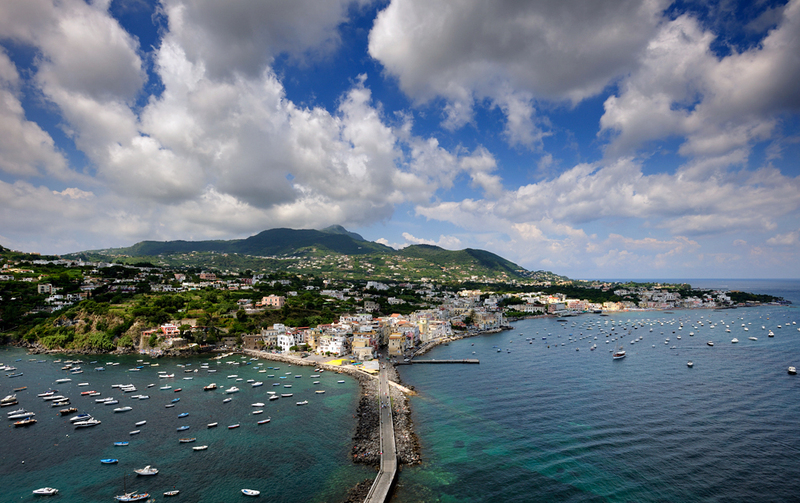 Where: The Island of Ischia is just off the Italian mainland, 21 miles west of Naples. 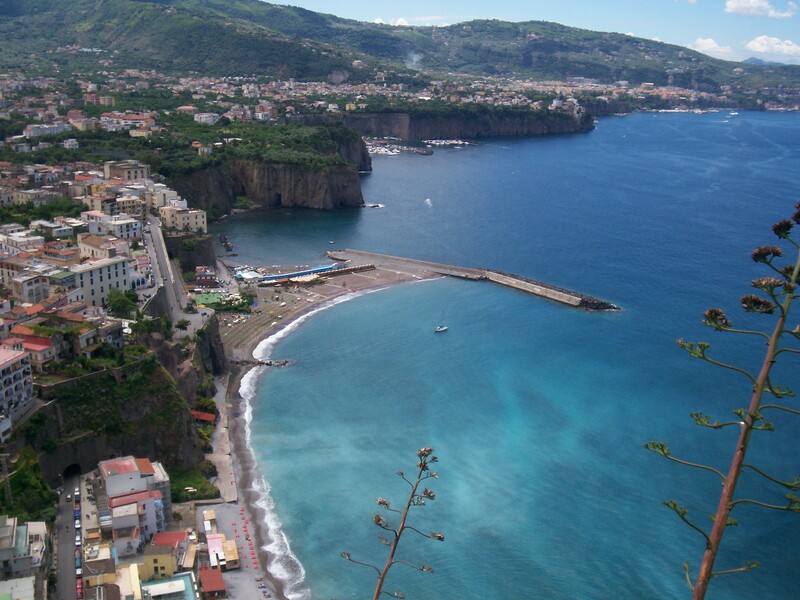 Why: Imagine a place where you can stroll through a lush open vineyard, breath in the fragrant scent of pine, skip over emerald green hillsides, stretch your toes in silky volcanic sands, hike over dramatic seaside cliffs, and dip into a soothing natural hot thermal spring. And all this comes on one secluded, rugged, picturesque island. It doesn’t matter what time of year you are planning your Wedding, as the Island of Ischia offers a pleasantly mild climate year round. 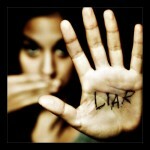 The springtime sees the most rain, which is predominantly in the North East section of the island. Ischia’s summer climate has the dry heat typical to the Mediterranean with mistral breezes that can help cool things down. In the winter months the Mediterranean Sea can become quite cold, but don’t worry about your beach-side activities, as the natural hot thermal springs spill out onto the shores allowing for comfortable swimming year around. 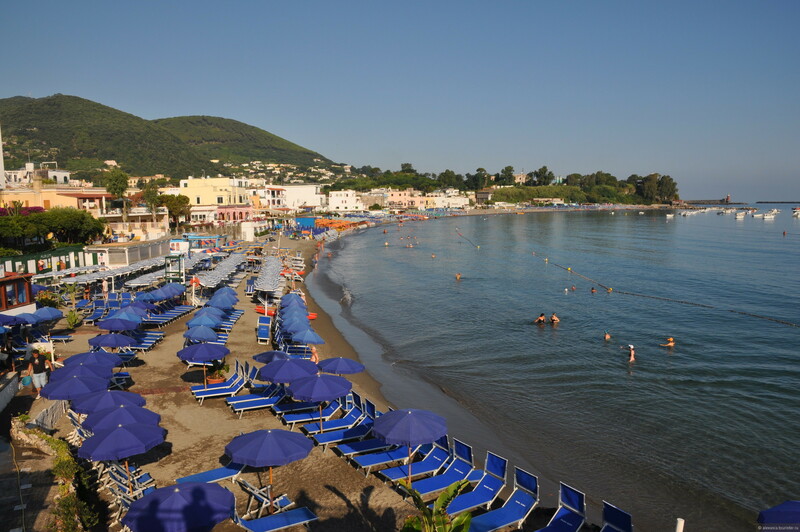 Early or late summer is the least busy time of the season in Ischia. While much of the famous long stretches of beaches can become crowded at times, taking a water taxi or walking on foot can quickly bring you to a more private cove. 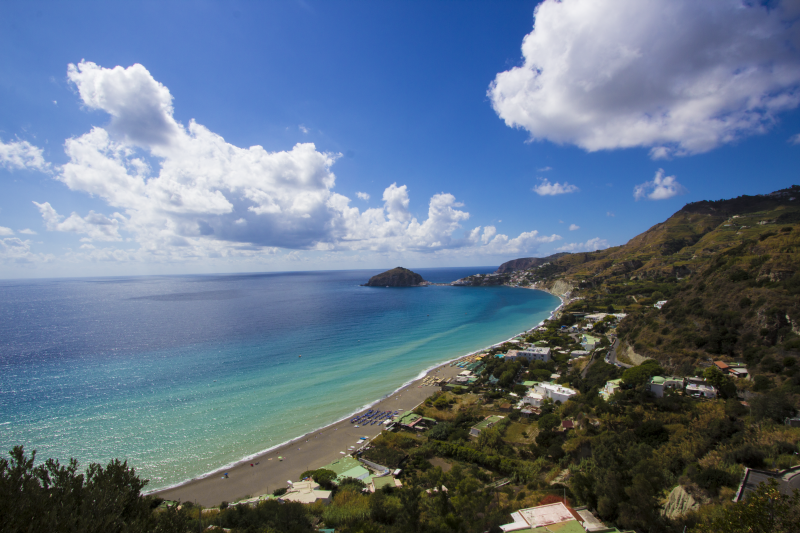 The beach at Maronti is one of these less accessible areas that can be reached by foot in about 30 minutes. It is large, clean, private, and full of thermal springs, natural spas, and fumaroles (vents from which volcanic gas escapes into the atmosphere). The beach at Maronti can also make for an unforgettable evening. Many locals use the fumaroles to cook dinner in the sand at the end of the day. Small holes are dug in the area of these fumaroles, the food is wrapped with aluminum foil, and then covered in the sand. You can spend the next hour swimming and enjoying the sunset. When you return, an picturesque dining experience will await. 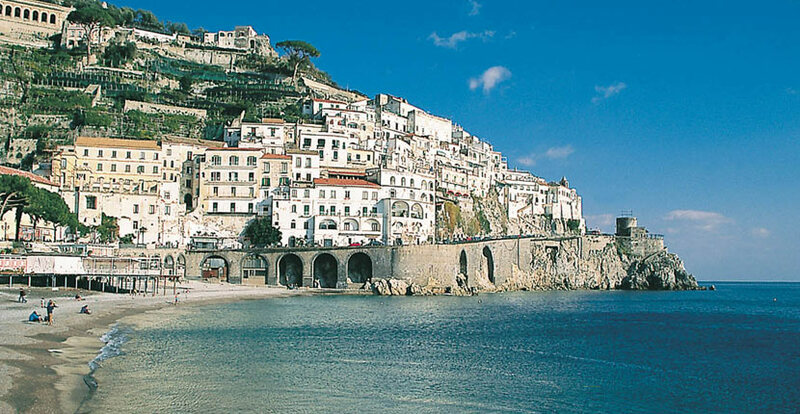 When you are ready to step off the exotic sands for a little hometown culture, Ischia Porto is on the Eastern coast of the island in the crater of the Monte Epomeo volcano. 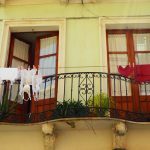 Boutiques and shops will entertain you through the afternoon, at which point the evening lights up with an animated festivity of celebration for both locals and tourists. 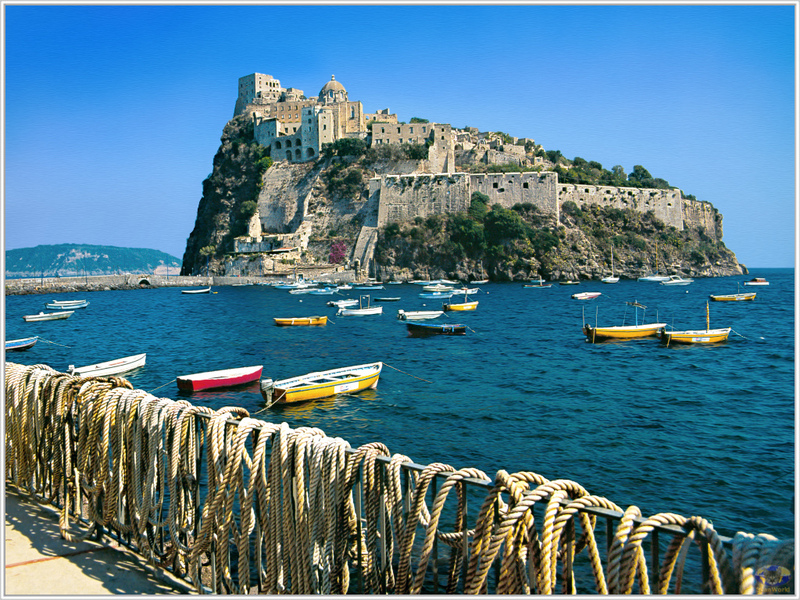 But don’t leave just yet, Aragonese Castle is a must see while in Ischia Porto. Built in 1438 by Alfonso of Aragon with origins dating back to 475 BC, Aragonese Castle is stunning and offers breathtaking views of the entire island. The proud, rugged exterior of the castle nestled within serene tropical beauty offers the perfect backdrop for a honeymoon photo.